Thanks to our wide color range and proprietary stone chip blending abilities, Gerard roofing tiles can mimic any traditional barrel tile color. Additional dimension is created using our proprietary coating technologies to add darker or lighter toned accents on each metal barrel tile. Not only will your Gerard Tile display more dimension and color than traditional concrete or clay tiles, it will continue to look better over time requiring the least amount of maintenance and upkeep. 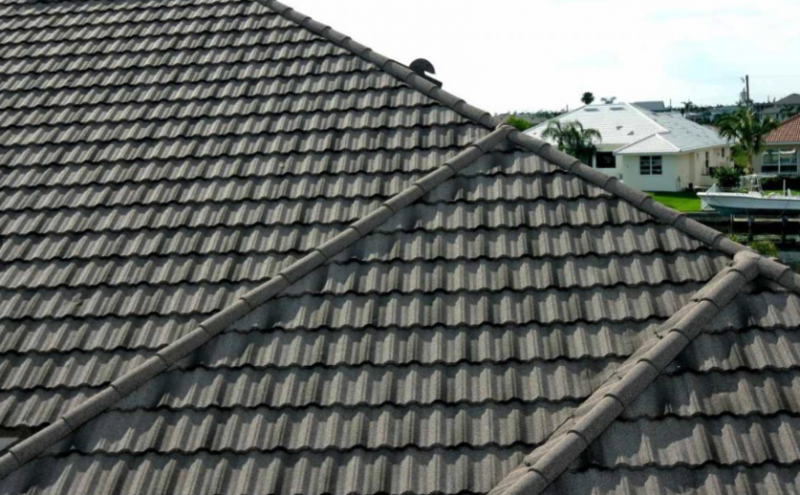 Unlike the traditional shingle and barrel roofing materials, our stamped metal roofing panels do not absorb moisture. Moisture creates mold, mildew and fungus which accelerates the breakdown of traditional roofing materials. To further enhance our galvalume steel panels we generously coat our panels under a fountain of high quality acrylic basecoat and poured on Stone Chip coatings made to withstand decades of all weather effects.